For those that might not be familiar with it, Wine is a Windows compatibility layer for Linux that lets you run Windows applications and games on Linux, macOS, and Android (experimental). Wine is used by Proton, Valve's Steam Play compatibility layer that allows playing Windows games on Linux, and by CrossOver, a commercial Microsoft Windows compatibility layer for macOS and Linux, among others. There is a more in-depth release notes page available on WineHQ if you need more information on the Wine 4.0 stable version. For Direct3D 12, the vkd3d library and a Vulkan-capable graphics card are required. It should be noted that some of these features were already available in the Wine development and staging builds (depending on the version/build of course), which are used by software like Lutris, PlayOnLinux, or Valve's Proton for example. 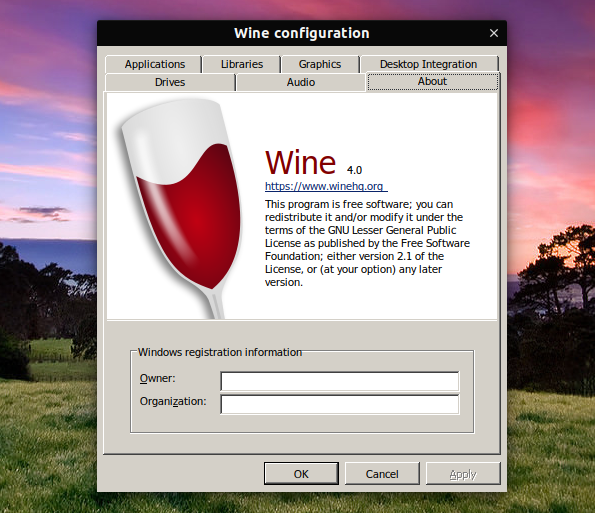 The Wine 4.0 binaries for macOS, Android, and for Linux distributions like Ubuntu, Debian and Fedora, are in the process of being built. The source is already available for download.